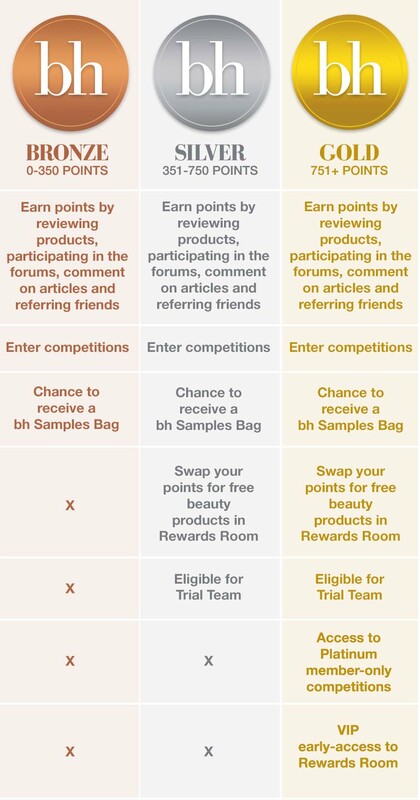 Earn points for doing what you love: Reviewing products and commenting on articles with like-minded beauties. We love reviews! They help make beautyheaven the site it is and provide invaluable information for your fellow beauty addicts to research products before they buy them. Read our advice on how to write a good review here. NOTE: To ensure beautyheaven remains the best place for truly helpful beauty product reviews, we only accept product reviews that add value and help others. Your review may be positive, negative or even neutral, but you must explain why you think that. Tell us what you liked, what you didn't, if it didn't suit you then who would it suit? It doesn't need to be an essay, but one sentence probably isn't sufficient.